Springfield, MA - The Springfield Thunderbirds announced today that they have signed forward Bobby Farnham to a PTO. 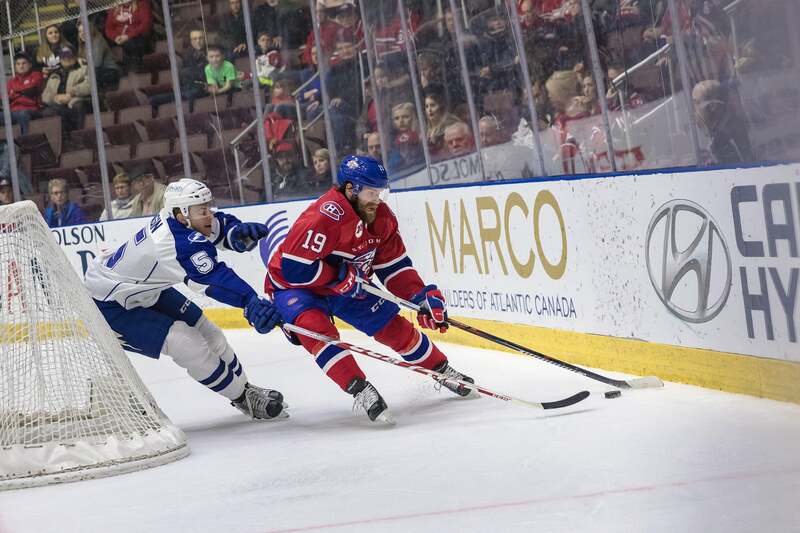 Farnham, 28, spent the 2016-17 season in the Montreal Canadiens organization, skating in three games with Montreal and 71 with the St. John's IceCaps. He recorded 11 goals and 17 assists, both AHL career bests for North Andover, Mass. native. Additionally, he logged 137 penalty minutes. In 268 career AHL games, the 5-foot-10, 190-pound winger has tallied 67 points (28g, 39a) and 809 penalty minutes. Prior to beginning his professional career in 2012, Farnham played four seasons at Brown University, logging 54 points and 128 penalty minutes in 129 collegiate contests. The Thunderbirds embark on their first trip to Allentown on Wednesday in a battle with the Lehigh Valley Phantoms. Springfield returns to its home rink for a rematch with the Phantoms on Friday, Oct. 27 for another 3-2-1 Friday at the Thunderdome. Springfield Thunderbirds fans are encouraged to visit www.SpringfieldThunderbirds.com to learn more about Thunderbirds Season Ticket Memberships. Packages start at just $12 per game, and Thunderbirds Full Season Ticket Members receive the most benefits, including a refillable collector’s mug and a commemorative jersey. For more information or to order now, call (413) 739-GOAL (4625) or visitwww.SpringfieldThunderbirds.com.